Once the deadline to RSVP passed for my upcoming wedding, my fiancé and I were tasked with tracking down those guests that didn’t bother to respond. With phone call after phone call, email after email, I realized that some people who are invited to weddings merely don’t understand how the whole system works. A wedding invitation is much more than a piece of paper. It is a decision that requires a great deal of money. From the invitation to the actual price per guest for the couple, wedding guests aren’t cheap. And it is a decision that requires a great deal of energy and time, one that the couple spends hours agonizing over the details so that their guests will have a great time. When you are invited to a wedding from the summer to the winter, practice these dos and don’ts and you will make the happy couple a whole lot happier. If you have never been invited to a wedding, you might be in the dark about all that goes into a wedding event. Planning a wedding is no easy task, especially when it comes to costs and logistics. How many wedding guests you invite has a great deal to do with how much you will spend on your wedding day. For my upcoming wedding, I saw what it was like to be on the other side of weddings. Knowing how much time, money and energy that goes into each wedding guest invitation, I was dumbfounded to find many guests didn’t even bother to send back in their RSVPs. If you are invited to a wedding, you should consider it an honor that someone wants you to attend their special day. The least you can do is send in your RSVP in a timely manner. If there is a deadline listed on the invitation, be sure to send in your RSVP well before that date to give the bride and groom ample time for all of the details. Nothing is more annoying to a couple than having to spend time amidst all of the wedding chaos, tracking down relatives who didn’t bother to RSVP. From expecting your hosts to shuttle you around town on the week of the wedding to having the bride and groom come up with all of the activities for you to do, you shouldn’t impose too much on your wedding weekend hosts, especially in areas that are your responsibility. For example, some wedding guests might impose on their wedding hosts, asking for rides when they should get a car rental. Rather than depending on people who are trying to pull off a major event, try to stay out of your hosts’ way for the wedding week. If you can offer your help rather than come up with ways that of how they can help you, you will eliminate a great deal of stress for the happy couple. Having a wedding with plenty of guests who failed to send gifts, I learned that not every wedding guest knows the protocol on gift giving. Relatives and family friends who aren’t attending can sometimes think that they don’t need to send in a gift. However, if you are invited to a wedding, it is considered rude to not send a gift to the couple, whether you are attending or not. In case you aren’t familiar with wedding guest etiquette, be sure to send a gift, even something small to the bride and groom to let them know you still appreciate the invitation even if you can’t make it to the big day. Sure the whole point of a wedding is to celebrate two lives joining together. And while two lives becoming one is reason to throw back a few glasses of champagne, don’t overdo it. You don’t want to be the story at someone’s wedding. From talking with wedding coordinators about wedding guests from hell, most of the stories involve guests who have had one too many. While you should enjoy the wedding, don’t drink too much to the point where you aren’t in control. You can really become a wedding guest nightmare by ruining the bride’s thunder and arriving late to the wedding ceremony. There is really no reason to be a late to a wedding besides those factors outside one’s control such as a flat tire or bad traffic due to an accident. 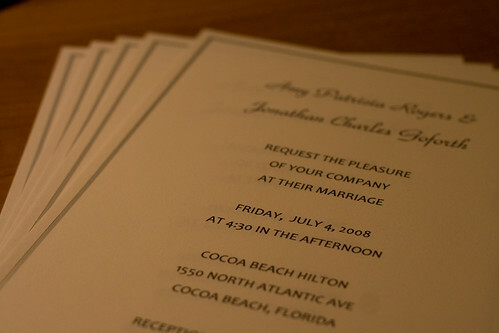 If you have the invitation with the wedding site’s address well in advance, there is no reason to be late. If the wedding is in a destination you aren’t familiar with, the day before the wedding, you should spend some time scouting out the ceremony and reception sites just to make certain that you know where they are. A wedding guest can be late to a wedding. They can forget to RSVP. They can even have one too many at the wedding ceremony. However, the worst crime that a wedding guest can commit is under-appreciating their invitation. I had one wedding invitee tell me that they decided to attend another wedding instead of mine this summer. She clearly didn’t appreciate that she was invited to my wedding. Even if it was the truth, she didn't have to say to my face that she was picking and choosing her weddings this summer. I had left some people off the invite list to accommodate this guest that didn’t understand what the wedding invitation meant to me. 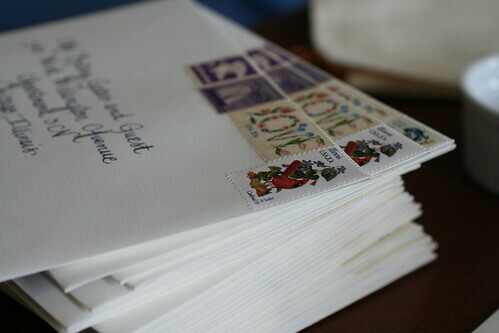 Before you just toss your “No” response in the mail for a wedding, appreciate the gesture. Write a little note to the couple about how you’re sorry to miss it or express your excitement if you are attending. It’s the little ways of appreciating a wedding invitation that will help make the couple’s day truly special. What do you think are the main dos and don’ts for wedding guests? Share your wedding guests rules with us below.